The International Criminal Police Organization, more commonly known as INTERPOL, is an international organization facilitating international police cooperation. How extensive is the INTERPOL global network? INTERPOL has 190 member countries. Each member country maintains a National Central Bureau, which links national police with each other to form INTERPOL’s global network. INTERPOL has its headquarters in Lyon, France, various Regional Bureaus and Special Representative Offices around the world, as well as a Global Complex for Innovation (IGCI) in Singapore. What crime areas does INTERPOL focus on? Cybercrime – supporting member countries to prevent and investigate cyberattacks. What capabilities does INTERPOL have? 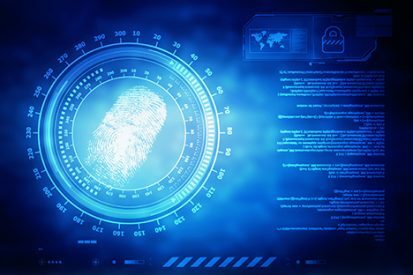 Criminal databases – biometrics, nominals, stolen and lost travel documents, stolen works of art, firearms, motor vehicles, child abuse victims. General Assembly – supreme governing body comprising delegates from each member country. Takes decisions on policy, resources, working methods, finances, activities and programmes. Executive Committee – elected by the General Assembly and headed by the President of the Organization. Provides guidance and direction to the Organisation and oversees the implementation of decisions made by the General Assembly. General Secretariat – based in Lyon, France, the General Secretariat encompasses the headquarters, regional bureaus, IGCI and Special Representative Offices. The Secretary General runs the Organization’s daily operations from the General Secretariat, in line with the decisions of the General Assembly and Executive Committee. Notices are international alerts circulated by INTERPOL to all member countries at the request of a country or an authorized international entity. The information disseminated via notices concerns individuals wanted for serious crimes, missing persons, unidentified bodies, possible threats, prison escapes and criminals’ methods of operation. What types of Notices does INTERPOL issue? Red Notice – to seek the location and arrest of a person wanted by a legal jurisdiction or an international tribunal with a view to his/her extradition. Blue Notice – to locate, identify or obtain information on a person of interest in a criminal investigation. Green Notice – to warn about a person’s criminal activities if that person is considered to be a possible threat to public safety. Yellow Notice – to locate a missing person or to identify a person unable to identify himself/herself. Orange Notice – to warn of an event, a person, an object or a process representing an imminent threat and danger to persons or property. INTERPOL – United Nations Security Council Special Notice – to inform INTERPOL’s members that an individual or an entity is subject to UN sanctions. Purple Notice – to provide information on modi operandi, procedures, objects, devices or hiding places used by criminals. Diffusions – similar to the Notice, a diffusion is issued for the same purposes as notices but sent directly by a member country or an international entity to the countries of their choice. Diffusions are also recorded in the Organization’s police databases. How many Notices are issued annually by INTERPOL? What is the INTERPOL Notice publication process? The General Secretariat publishes notices based on requests from National Central Bureaus (NCBs) or authorized international entities. All notices are published on INTERPOL’s secure website after a compliance check has been completed.